The Neepawa golf course is still wet with water and hasn't opened for the season yet, says Neepawa Golf and Country Club general manager Landon Cameron. Dwayne Kirkup firmly believes he can win in Neepawa with the Natives and he's looking forward to next season after inking a one-year deal to return to the Manitoba Junior Hockey League club last week. 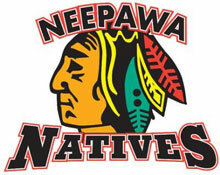 The Neepawa Natives will be returning for a 26th season in the Manitoba Junior Hockey League thanks in large part to a substantial amount of donations from the community, says general manager Myles Cathcart. The Neepawa baseball fields will soon see some upgrades in the not-too-distant future.